The first date can make or break the relationship. If you mess up the first date, you’ve got a lot of ground to cover, homey. It’s the same way with mixing. Pulling up a mix and jumping straight to fancy plugins is like picking a girl up for your first date and going in for a kiss before you even get to dinner. There’s a crucial “first date” portion to every mix. Skip it, and you’re destined to play lots of catch-up. You’ve got to lay a good mix foundation, and it all starts with the simplest of things — the fader. 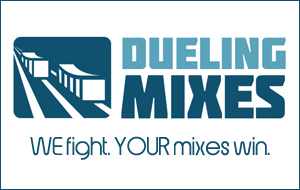 A good static mix can make a ginormous difference in the outcome of the mix. To find out why (and how) and how I start EVERY mix this way, check out this week’s new VIP video.